Enjoy our luxurious Cape Cod townhouse with stunning views of the beach, the pier, the birds flying by, sunsets and local fireworks during the summer from our largest 3 bedroom unit. 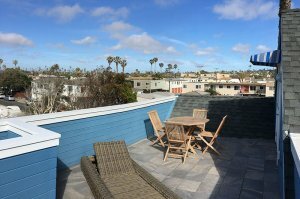 Enjoy the magnificent views and breezes from this beautiful, luxurious and spacious top floor 3 bedrooms, 2 bath townhouse. 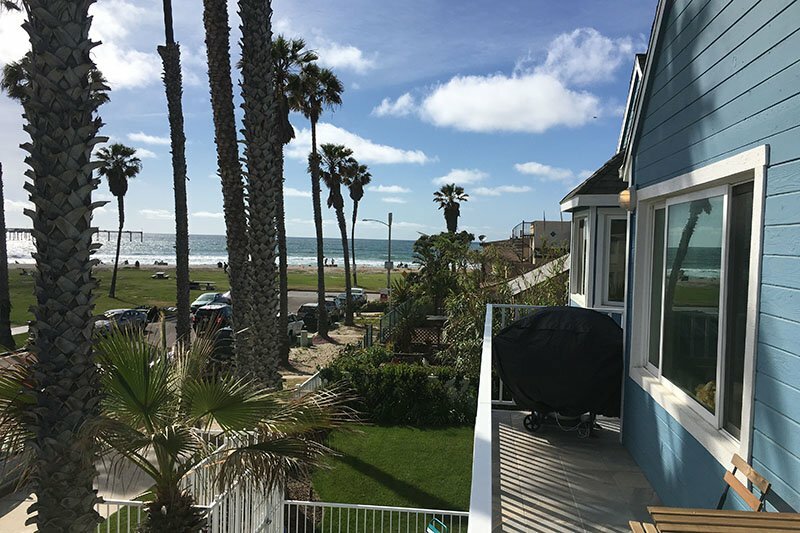 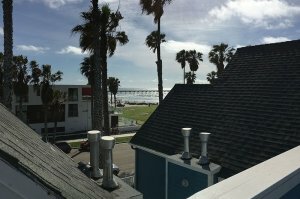 There is even an awesome rooftop deck with big Views of the ocean, local hills and north towards La Jolla, you can even enjoy the Sea World fireworks from the deck. 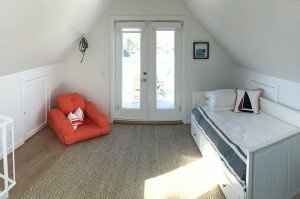 ½ block to the beach! 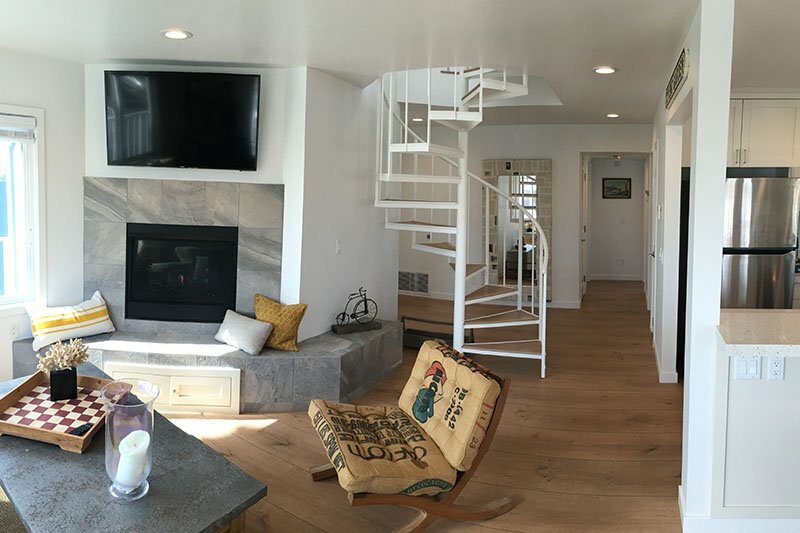 This is our largest unit, it features an open floor plan with wide planked wood floors and is decorated in a classic upscale beach style. 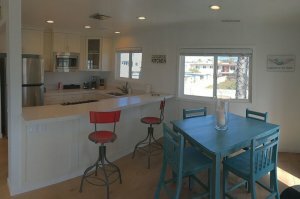 The living room, dining room, kitchen and nice sized front balcony all look out to the ocean, the pier and amazing sunsets. 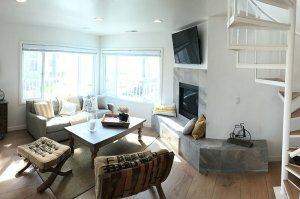 The living room features a gas fireplace, a wall mounted flat screen tv and plenty windows overlooking the view. 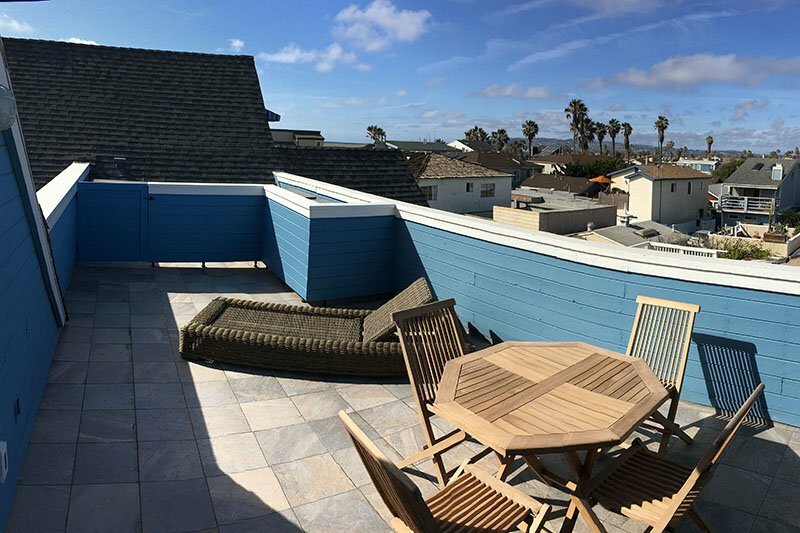 The large front balcony is perfect for enjoying the sunset. 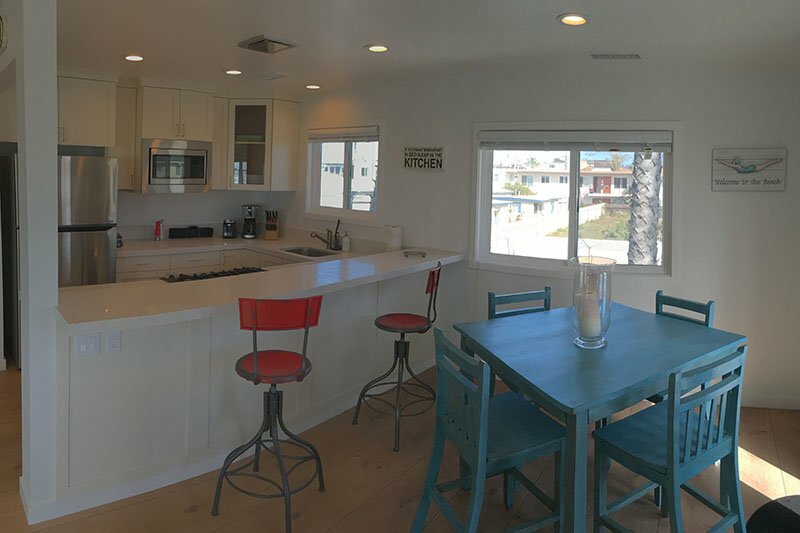 The kitchen has recycled glass counters, stainless steel appliances and a breakfast bar that opens to the dining room. 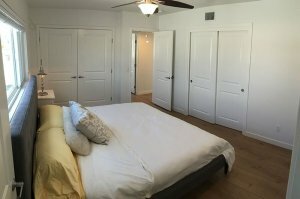 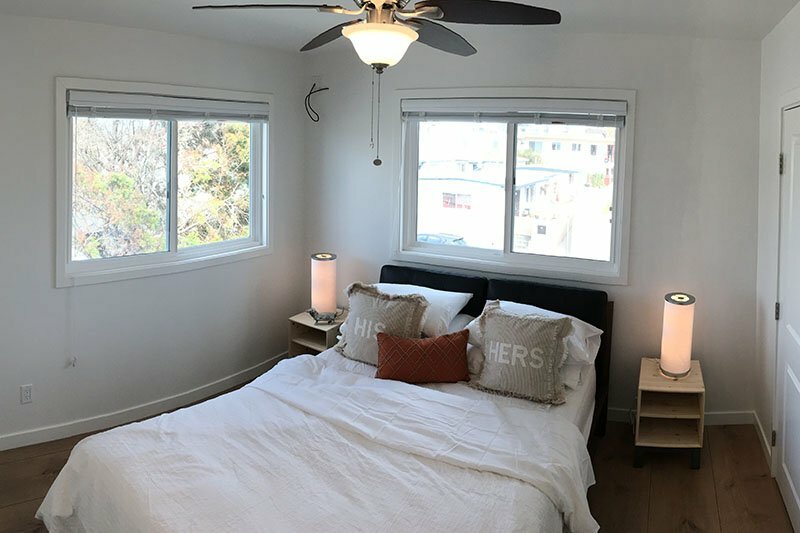 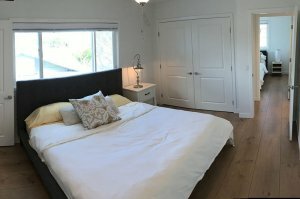 The master bedroom has a king sized bed with plenty of natural light, the 2nd bedroom is large and has a queen sized bed with lots of natural light. 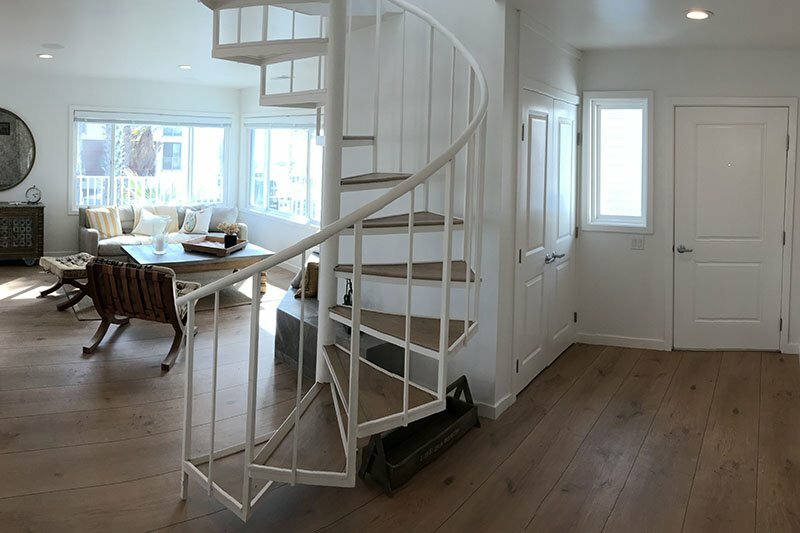 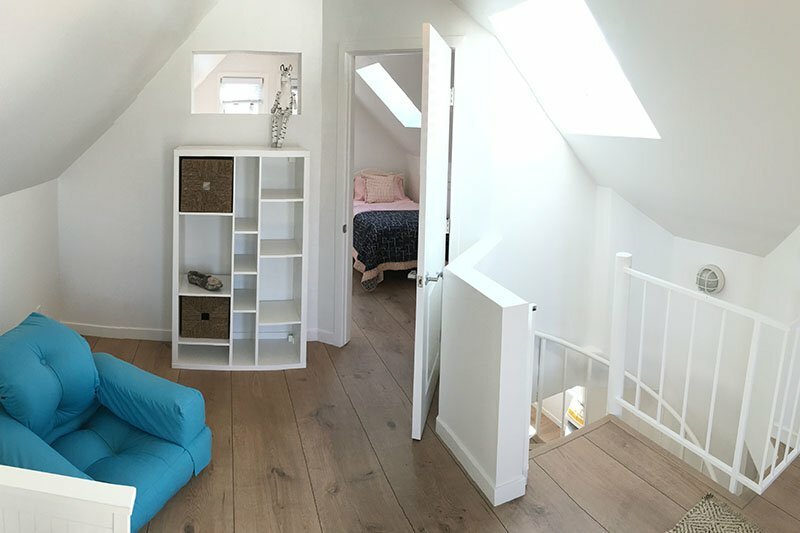 The upstairs is accessed with a spiral staircase and has a sitting room with a twin sized trundle bed that turns into a king-sized bed. 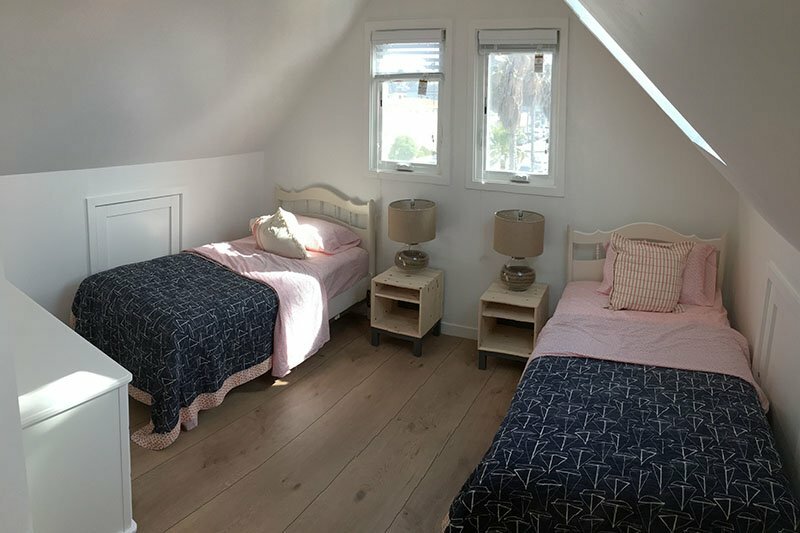 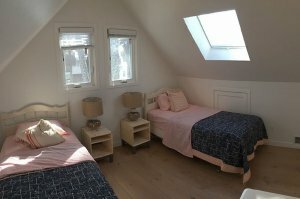 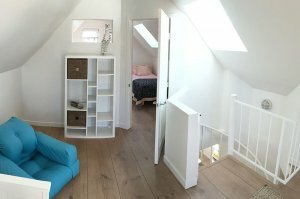 Upstairs bedroom has vaulted ceilings and 2 twin beds. 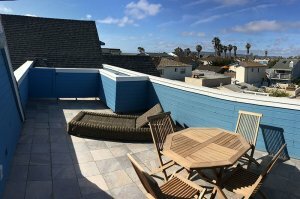 The rooftop deck has a table and chairs perfect to relax and watch the pelicans fly by. 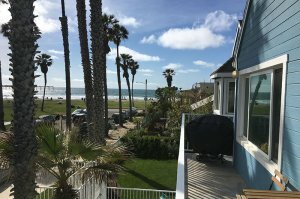 This unit also has a gas grill on the front balcony, a washer, and dryer, a DVD player, surround sound in the living room, 2 boogie board and 2 beach chairs for your use. This unit can accommodate 8 guests.